Bissa (or Busanga (singular), Bisa, Busansi (plural)), is a Mande ethnic group of south-central Burkina Faso, northeastern Ghana, northernmost tip of Togo and northern Benin. Their language, Bissa, is a Mande language that is related to, but not the same as, a cluster of languages in the old Borgu Kingdom area of Northeast Benin and Northwest Nigeria, including Busa, Boko, and Kyenga. An alternate name for the Bissa is Busansi which is used by the Mossi people. Daniel McFarland's "Historical Dictionary of Upper Volta" refers to them as "intrusive Mande who settled the area along the White Volta below Tenkodogo by 1300. 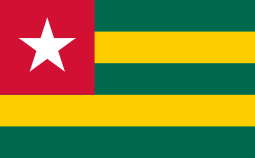 Some live across the border in modern northern Ghana and Togo. According to some traditions, Rialle, progenitor of the Nakomse line of Mossi rulers was Busansi." The Bissa are known for their cultivation of peanuts. Traditionally, a Bissa man who wants to court a Bissa girl must work in her mother's peanut field, and be able to provide the girl with her own peanut field if they get married. The Bissa people are divided into numerous clans. Their language differs slightly; primary dialects are Barka, Lere, Ladda, Zeba, Zigila. 1 2 "World Map - People Group Name: Bissa". ↑ An actual member of the Bissa tribe - which is probably a better source than any book written by Western scholars. There is not much information on the Bissa tribe at all in the literature. McFarland, Daniel Miles (January 1978). Historical Dictionary of Upper Volta. Metuchen, New Jersey: Scarecrow Press. ISBN 978-0-8108-1088-4.